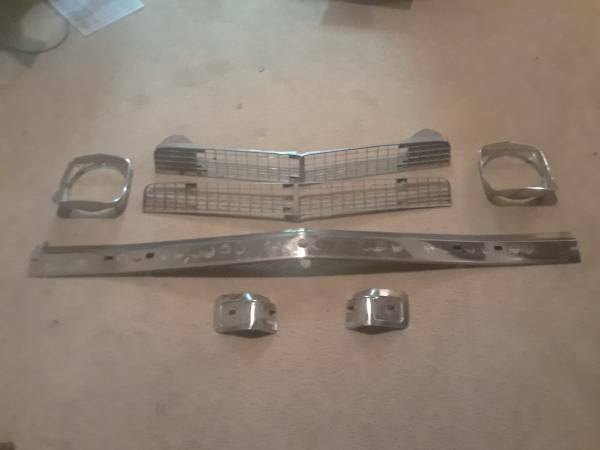 Here's a Craigslist ad of what appears to be good condition trim for a 75-76 Laguna front nose. Probably not a bad price IF you need all those pcs...which, I doubt anybody would. Also, I'd like to see a close-up of the headlight bezels as they seem to always be pitted...and, the amount of pitting would greatly determine the value IMO.